Several episodes explore the theme that each resurrection creates a new incarnation with little to no memory of its past life, the immediate past incarnation referred to as the current’s “father”. Thus, every incarnation is free to develop its own personality and pursue its own personal interests. The vampire is able to pose as a “dreadful dynasty, the counts of Duckula”. The preceding generations included knights, sorcerers, scientists, artists, Egyptologists and even professional gamblers, all of whom are also secretly “vicious vampire ducks”. However, as the title sequence puts it, “the latest reincarnation did not run according to plan”. The successful conclusion of the ritual requires blood (a send-up of the Hammer Dracula films), the source of sustenance for any vampire, but Nanny accidentally substitutes tomato ketchup. Consequently, the newest version is not a blood-sucking vampire, but a vegetarian one. He is more interested in juicy carrots than hunting for victims. Igor is appalled. Even worse, his “new” master is obsessed with pursuing wealth and fame as an entertainer. The stories often centre around Duckula’s adventures in search of riches and fame, assisted by the castle’s ability to teleport around the world. Another regularly occurring theme is the repeated attempt by Igor to turn Duckula into a proper vampire. Some episodes feature Duckula’s nemesis Doctor Von Goosewing (based on Dr. Abraham Van Helsing, the nemesis of Dracula), a vampire hunter who blindly refuses to believe the current incarnation of Duckula is harmless. There is also an array of bizarre, often supernatural foes, from zombies to mechanical werewolves. Another feature of the show is a cuckoo clock whose bat-like Russian-accented characters come out and make jokes about the current situation (or corny jokes in general). The clock is also a vital part of the castle’s travelling mechanism, and even has the ability to turn back time. A series of annuals and monthly comics further detailing the adventures of Count Duckula and associated characters were released throughout the time that the series originally aired and for a short time afterwards. Count Duckula Season 4 Episode 7 The Zombie Awakes! Count Duckula Season 4 Episode 6 A Mountie Always Gets His Duck! Count Duckula Season 4 Episode 5 Venice a Duck, Not a Duck! Count Duckula Season 4 Episode 3 Alps-a-Daisy! Count Duckula Season 4 Episode 1 Around the World in a Total Daze! Count Duckula Season 3 Episode 11 The Rest is History! Count Duckula Season 3 Episode 9 The Show Must Go On! Count Duckula Season 2 Episode 12 No Yaks Please, We’re Tibetan! Count Duckula Season 2 Episode 11 Whodunnit? Count Duckula Season 2 Episode 8 The Count and the Pauper – I Ain’t Gonna Work on Maggot’s Farm No More! Count Duckula Season 2 Episode 5 Hi-Duck! Count Duckula Season 2 Episode 2 Ducknapped! Count Duckula Season 1 Episode 19 A Family Reunion! Count Duckula Season 1 Episode 18 Rent a Butler! Count Duckula Season 1 Episode 14 The Vampire Strikes Back! 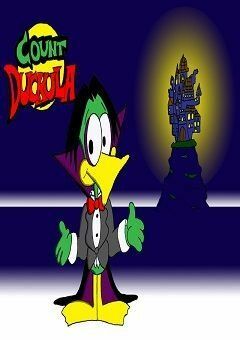 Count Duckula Season 1 Episode 10 Castle Duckula: Open to the Public! Count Duckula Season 1 Episode 1 No Sax Please, We’re Egyptian!